To me, butternut squash is everything you could ever want in a vegetable. It’s versatile, beautifully colored and rich, making it the perfect ingredient for fall and winter cooking. While using it as the main component of a soup or casserole is a fan-favorite idea, there is nothing quite like a simple recipe, allowing you to truly enjoy the flavor of the squash. Having grown butternut squash in our garden this year, I was really looking forward to enjoying the rich and satisfying taste of the squash without loading it up with cream, butter or cheese. 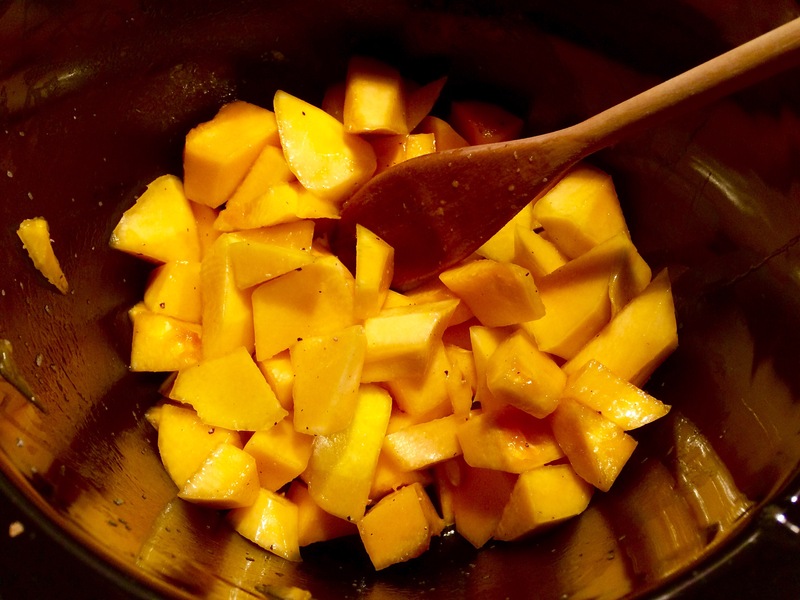 Peel your squash and cut it into cubes. Place the cubes in your slow cooker. Mix in 1 tablespoon of olive oil. Add kosher salt and ground pepper to taste. Cook on high for two hours or low for four hours.